When you’ve decided that it’s high time for you to get rid of your old air conditioner, it’s likely that you’d be looking forward to a new one. There is quite a lot that you’d have to think about, though, as this is not a one-off decision that you can just take at the spur of the moment. 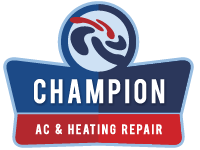 Air conditioning is absolutely critical when it comes to it and if you had to choose, you’d usually have two options: roof-mounted AC or a split system. The latter is usually installed in a manner which leaves the condenser coils at the ground level. There is absolutely no significant savings between the equipment which is needed to get one or the other. However, there are a lot of additional considerations that you would have to account for. Let’s give it a go. The truth is that contemporary AC units don’t require nearly as much maintenance as you’d think. However, they aren’t self-sustaining as well. When you have your AC unit mounted on the roof, it’s not hard to neglect the proper and regular maintenance. And, as time goes by, you’d be up against the hassle of having to get a ladder and carefully climb on top of the roof. A split system with its unit on the ground, however, is something much more convenient in this particular regard. You can just walk out and handle the maintenance without any additional hassle. This is something that you ought to consider. Whether you believe it or not, AC units are actually a sweet target for a lot of thieves. They contain copper and that’s something that they want. A professional thief can go ahead and strip everything that’s precious in no time. It’s obvious that a roof-installed unit would be harder to get. However, a split system’s outdoor unit could easily be protected with a cage, for instance. This helps to keep animals away while it protects the HVAC unit in Georgina completely. Of course, every single decision that you make with regard to indoor equipment has to be associated with the overall appeal of your interior. A good idea is to make sure that you have a designated space somewhere in the corners so that the AC can function properly throughout the entire room. This is something worth accounting for. With this in mind, it is also important to understand that the installation of your new system needs to be handled professionally. All in all, both systems have their merits when it comes to it. Of course, your personal preference and demands are of the most significant importance and these are the things you’d have to be aware of in advance. Other than that – the financial component is roughly equal.